Having healthy snacks can be an issue for students in school, adults at work, and people traveling for business and/or conferences and conventions. Often in these situations we’re at the mercy of the food available in the school, hotel, or conference/convention center. The food in some convention centers is pretty unhealthy. So it makes sense to plan ahead and pack healthy snacks. The suggestions below are also great for every day snacks at home or work. The types of food to pack depends on the type of event. It’s fairly easy to pack healthy lunches and snacks for kids to take to school, since you can control what you send with them. For adults traveling for work, or at conferences or conventions, it can be more of a challenge to eat healthy. If you’re at an event where the venue has unhealthy food and you are able to leave for meals, do some research in advance on nearby restaurants with healthy menus. It’s often a lot cheaper, too, to eat outside of hotels and conference centers, where the food tends to be over-priced. This is also a good plan when you’re traveling for fun or vacation. If you’ll be at work or an event where you’ll be sitting a lot, at a professional conference, for example, they generally have breaks for meals. If you get hungry in between, it’s good to have snacks that help keep you awake and keep your brain sharp, rather than eating a bunch of sugar and carbs. Sugar and carbs will give you a short wake up, followed by a longer energy crash and make your brain fuzzy. When I’m at medical conferences, even though I’m sitting and listening to lectures all day, it can strain your brain after a couple of days. So focus on eating lots of protein, veggies and good fats, like eggs. Choose snacks like carrots, celery, broccoli, or other veggies that are not squishy or messy to eat. Nuts, or a trail mix with nuts and dried fruit are also a great option. Nuts are loaded with protein and good fats that help the brain and energy level. Plus they travel well and aren’t messy to eat. If you’re at a more physically demanding event, like a convention that requires lots of standing or walking around an exhibit hall, the same rules apply. You’ll need more protein, though, because you’ll be burning it up with all of the physical activity. So the same snacks as above are great, just focus more on protein. And if the weather is hot, make sure you’ve got lots of water with you. If you’re hiking, biking, exercising, or participating in sports or similar activities, make sure you’ve got plenty of water. I also like coconut water to replenish electrolytes if it’s hot and I’m sweating a lot. The so-called “sports drinks” are absolutely NOT a healthy choice. They tend to be loaded with dangerous chemicals. One look at the blue liquid in the bottle should be enough of a clue that it’s not natural or healthy. If you’re still not convinced, read the ingredient label and check out the long list of chemicals in there. For a quick energy boost, eat a piece of fruit, rather than a candy bar. Many fruits have good fiber in them, which slows down the absorption of the sugar, so it’s a much better choice than cookies, candy, muffins, etc. And if it’s hot, or you’re sweaty, a piece of fruit is refreshing, because it’s also got some water in it. One of my favorite snacks for the beach are grapes. They’re a perfect combination of refreshing juicy goodness. Berries are always a good snack, as long as they’re in season. Don’t worry about the sugar in them. They’ve got fiber in them which slows down the absorption of the sugar, so it’s not an issue. Cherries are one of my favorite snacks. They were in my backpack at a recent event and worked really well. They’ve got all of the benefits of berries, but they don’t squash in the backpack like berries. Plus, cherries… yum! The only downsides with cherries: they’re only in season in the summer, and it’s best to only eat fruit in season where you live. The second is that they’re heavily sprayed with pesticides. If you can’t get organic, you can clean off the pesticides really easily. If you need the cleaning instructions, they’re here. To sum it all up, vegetables, like carrots, celery sticks, broccoli, etc. are nourishing and good for the brain. Eating snacks with sugar and carbs may give you quick energy, but will give you a longer energy crash and may make your brain fuzzy. Fruit doesn’t count here, especially fruit with fiber in it, like berries, cherries and apples and pears. 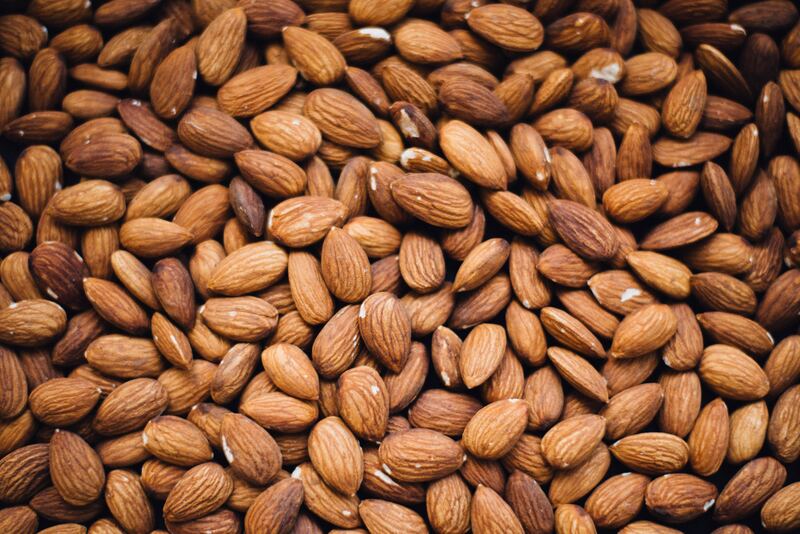 Snacks with protein help keep up your energy, like nuts, trail mix with nuts and dried fruit, hard-boiled eggs, and protein bars (that are not heavily processed) that focus more on protein than carbs. If you eat protein bars, they are NOT a substitute for a meal of real food. And read the label. Lots of them are marketed as “protein bars”, but are really just fancy candy bars loaded with sugar. If you know you’ll need to have snacks at work or some other event, have a couple of choices with you. Have some nuts and some carrot sticks or a piece of fruit. Then you’ve got options for what you feel like eating. Pay attention to how you feel about a half hour to an hour after you eat a snack. That way you’ll learn what works best for you and how different foods make you feel.